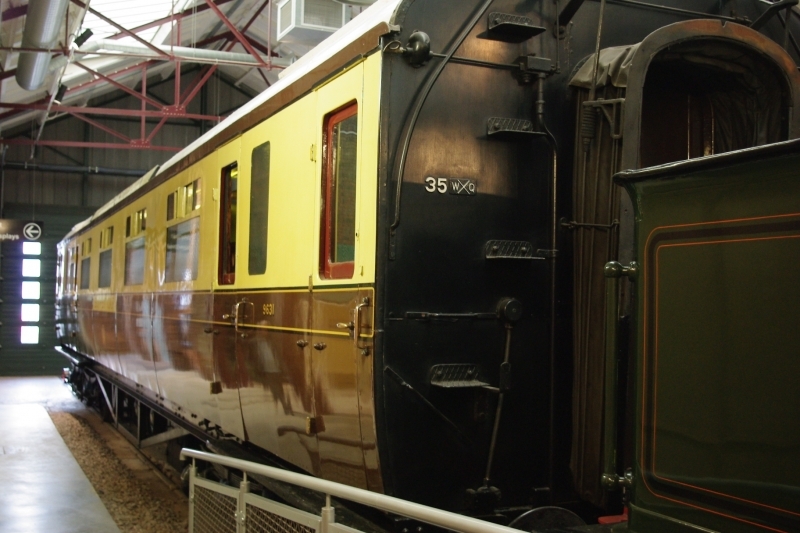 Taken 03/03/19 at Swindon's STEAM Museum; it is not an especially cramped museum, was nevertheless it was difficult to get a shot of the museum's two carriages that wasn't 'cramped'. No. 9631 was built at Swindon in 1934 and is one of two surviving 'Quick Lunch Bars'. It was preserved in 1962 and was displayed until 1973 at one my childhood haunts, the erstwhile Clapham Transport Museum. From there it moved to the Severn Valley Railway until 1992. It's next move was on to the National Railway Museum at York before it then transferred to STEAM.